All who heard this phenomenal performance by Almanova would agree, Jessica Pierce and Almer Imamovic moved us with their creative artistry and enchanting sound. The intimate venue of Santa Cruz's Darling House, with it's Tiffany lamps and open hearths, overlooking the beautiful Monterey Bay through beveled glass windows only enhanced the experience. Additionally, to have had this event stream live to hundreds of elated listeners really added a fascinating dimension to the smaller house concert, effectively reaching a world wide audience. This will certainly be a model for many concerts to come. Live video stream of the AlmaNova concert sponsored by Hill Guitar Company! Check it out Thursday 9/22 at 7:30 PM. If you can't make it, at least you won't miss it! at the Darling House in Santa Cruz! 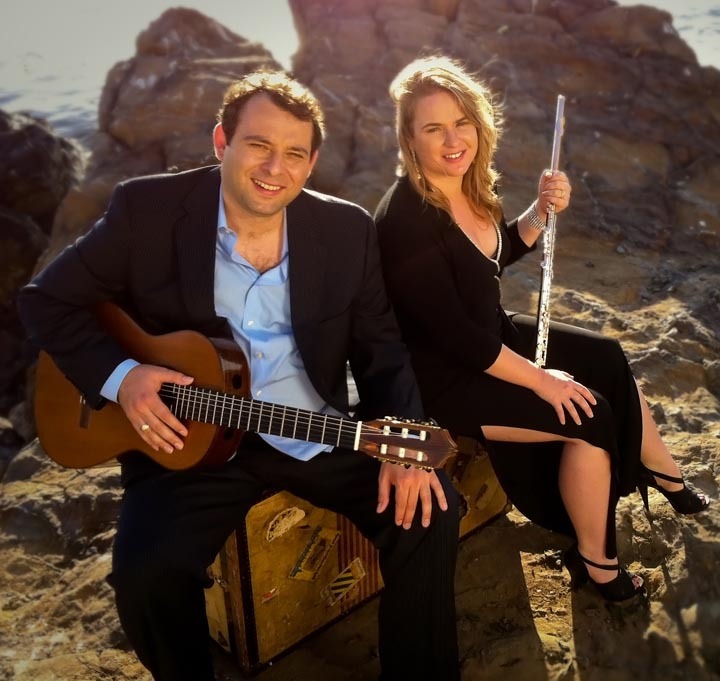 The award-winning ensemble, AlmaNova, is an innovative flute and guitar duo presenting an eclectic program of chamber music. Flutist Jessica Pierce and guitarist Almer Imamovic are both masters of their instruments elevating the flute and guitar ensemble to the highest level of virtuosity and artistry. Guests are sure to enjoy this live performance filled with energy and passion!